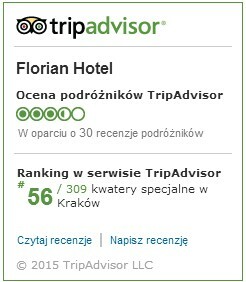 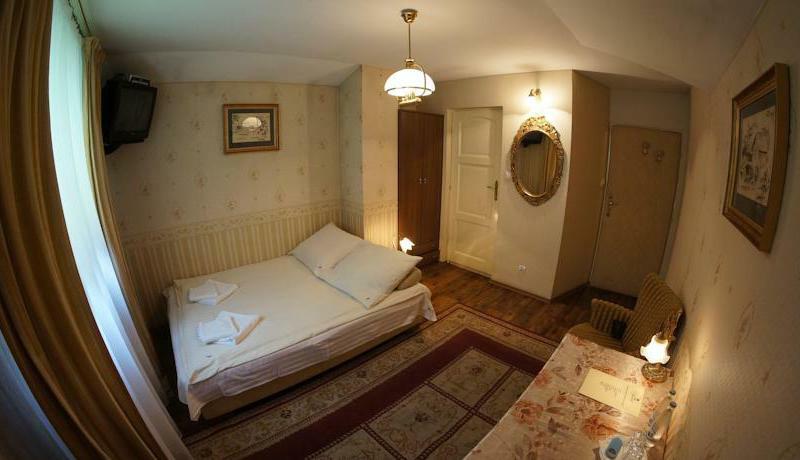 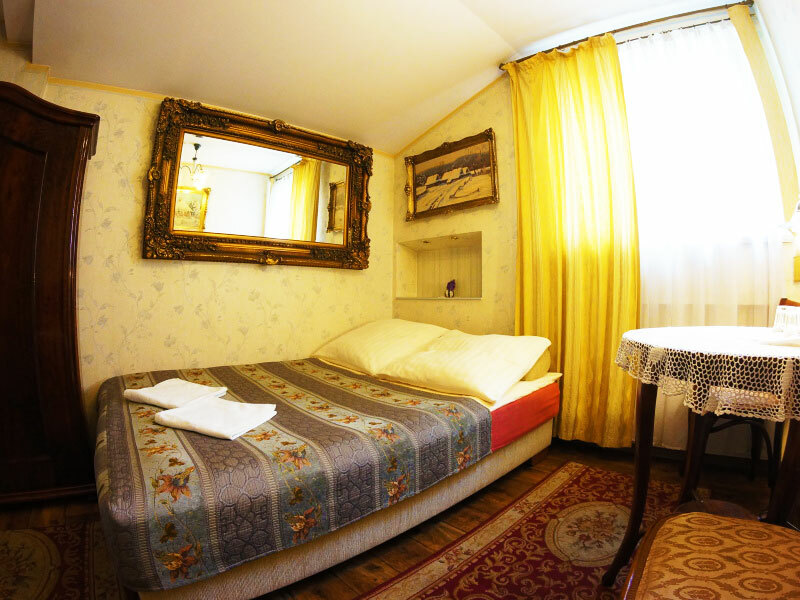 A single room in Florian Hotel has an above-standard and comfortable for one person square metric area - 19 m2. 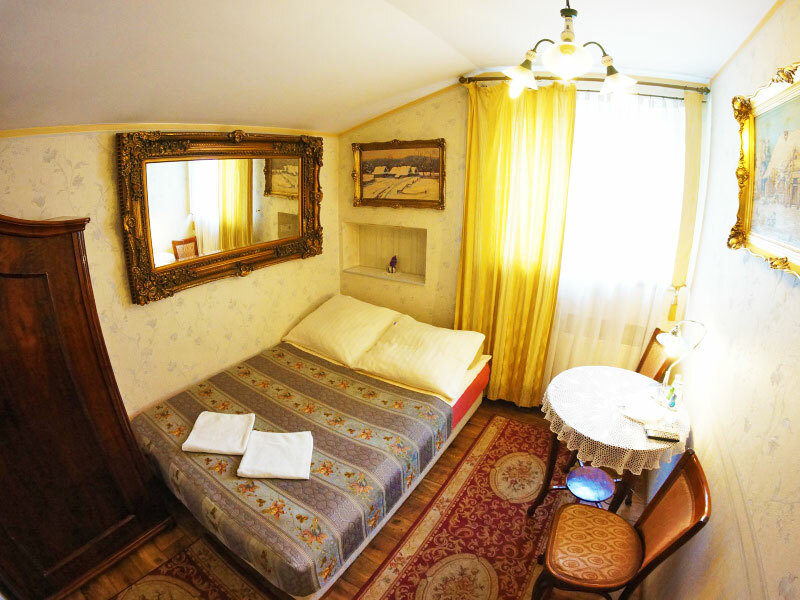 In the room there is a private bathroom with shower and basic conveniences (hair drier, soap, etc.). 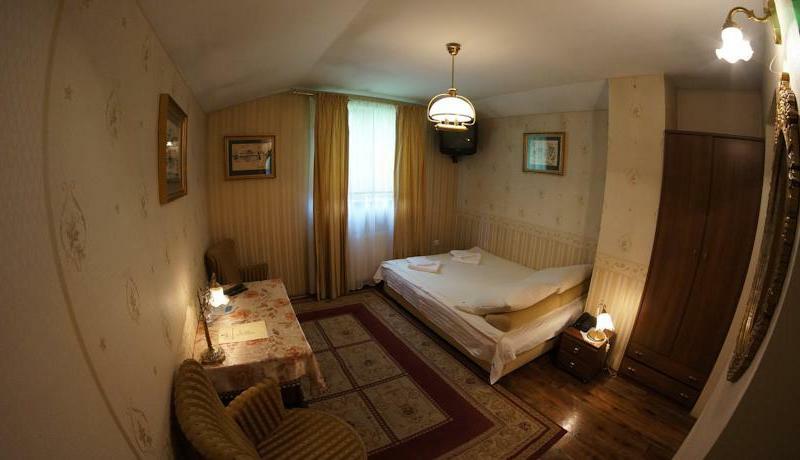 A true surprise is a large wooden bed with dimension of 120x200 cm, which ensures reallyroyal relax.Magnificent, antique furniture guarantee enough space for all baggage, and one can comfortably eat a meal or place a laptop and use a free, for hotel guests, wireless Internet access. 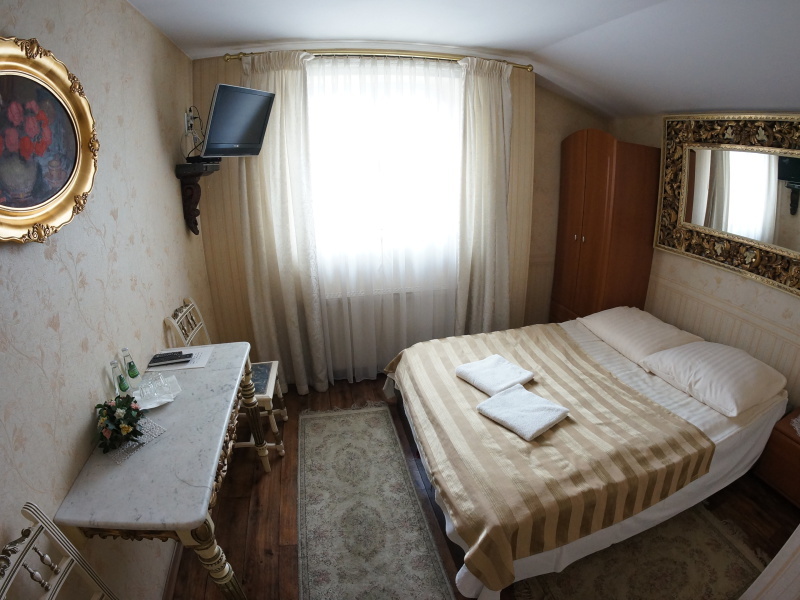 Guests have at their disposal in the room a TV set with satellite access and a telephone. 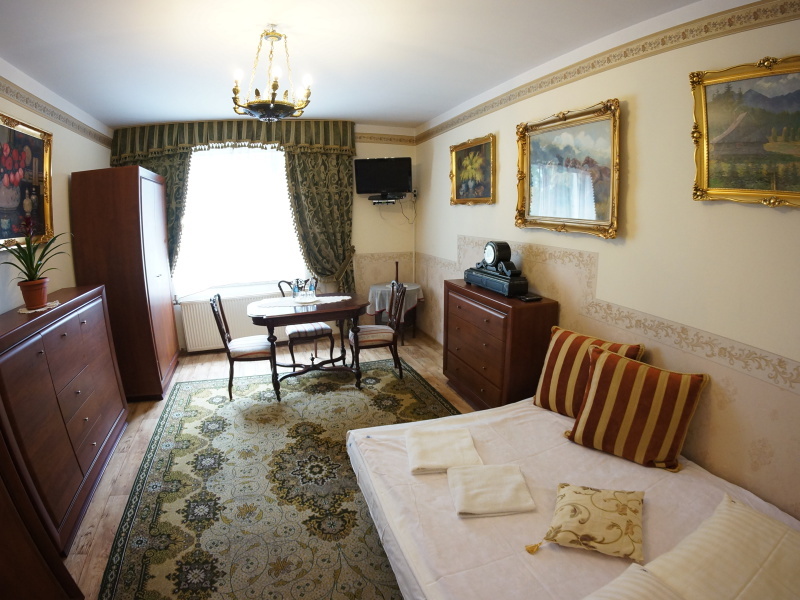 A single room in Florian Hotel has in fact a standard equal to rooms for two persons.